Designed with an extra wide gap for the larger bodied plastics, and skirts. The extra wide gap gives you more surface area for better hook ups. Forged for superior strength and Gamakatsu sharp for instant hook-ups. 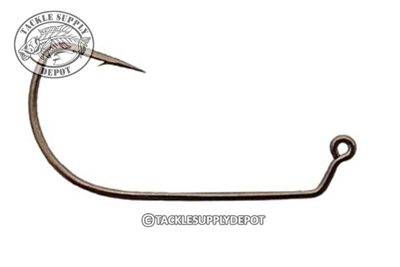 The 2014 series 60 Degree EWG Jig Hooks feature a NS Black Finish and are excellent for an array of Do It Molds.